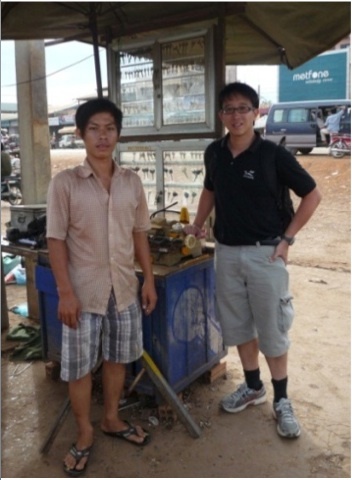 Between March to September 2011, I collaborated with WING Money Cambodia (WING), a leading mobile money services provider in Cambodia, on a research project to evaluate the social impacts of mobile money services in Cambodia. Currently,WING allows any customers (individuals and businesses) to transfer, deposit (cash-in) and withdraw (cash-out) money between each other and with anyone in Cambodia as well as top up their pre-paid mobile phone credits with their SMS-enabled mobile phones at low cost. Payment transactions like sending/receiving money, phone top-up can be done from any mobile phone, and secured by a personal 4-digits pin code. There is no monthly fee charged for holding a mobile wallet with WING and all the money are safely stored in a regulated bank. I am both thankful and privileged to be part of this research collaboration with WING. It has been an exciting journey for me to travel to different rural towns to interact with different mobile money community sales representatives, customers and merchants/agents to find out first-hand how WING’s mobile money services has really made positive changes to their small business activities, local cultural norms, social well-being and financial management habits. Below are 2 customer profile stories which are shortened versions of more detailed interview sessions conducted as part of the current research project collaboration between RMIT University Australia and WING. The names have been left out for privacy concerns. Out of the conference’s 214 panels, the IMTFI-sponsored panel was the only one that focused on contemporary financial services and the poor. The panel highlighted major findings from 4 of 20 research projects focusing on various countries in Africa that IMTFI has funded over the past 3 years. 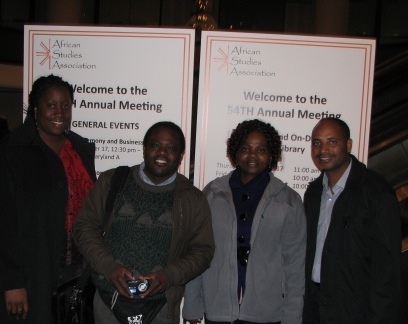 Presenters examined pathways and obstacles to achieving financial inclusion for the poor in Botswana, Ghana, Kenya, and Ethiopia.